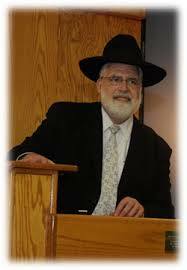 Rabbi Winter served as the Rav of the SEHC Knesses Yehoshua kehilla for over 30 years, from 1981 until his untimely passing in 2012. Rabbi Winter was a devoted, compassionate Rav and leader who cared deeply for all members of the kehilla, working continuously for the community with great selflessness. Rabbi Winter was a close, life-long talmid of HaRav Alter Chanoch Henoch Leibowitz ZT"L, the Rosh HaYeshiva of Yeshivas Rabbeinu Yisrael Meir HaKohen (better known as Yeshivas Chofetz Chaim). He received semichah from HaRav Moshe Feinstein ZT"L. Rabbi Winter inspired countless families and individuals, helping them strengthen their bonds with Yiddishkeit and increasing their observance of Torah and mitzvos. Rabbi Winter offered direction and counsel to many important community-wide religious educational institutions and service organizations, in and beyond the Greater Washington Jewish Community. He worked in kiruv in the business community, on university campuses, and in many other venues, always striving with the utmost dedication to bring Yidden back to Torah observance and understanding.